Michelle Obama admits she's not against having Botox in the future to maintain her youthful looks. 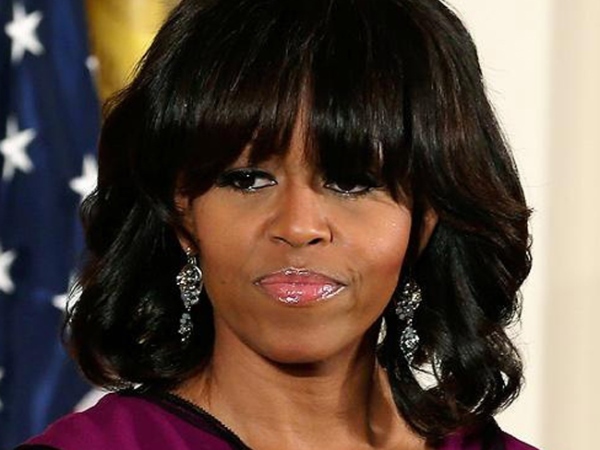 Michelle Obama hasn't ruled out having Botox. The 49-year-old US First Lady isn't against having the cosmetic procedure to maintain her youthful looks because she believes women should have the power to feel confident in their own skin. Speaking to People magazine, she explained, "Right now, I don't imagine that I would go that route, but I've also learned to never say 'never'. Women should have the freedom to do whatever they need to do to feel good about themselves." Meanwhile, the brunette beauty turns 50 tomorrow and has requested that Adele performs at her birthday bash alongside Beyoncé. However, it was previously thought that Adele had also been asked to sing at Kate Moss' 40th birthday party, which falls the day before, and was in a dilemma over which invitation to accept. A source said previously, "Kate's 40th is on January 16 and Michelle's 50th is the day after. Moss asked her team first to find out how much it would cost to get Adele to perform. But Michelle then also invited her to sing alongside Beyoncé at the White House. With Adele's fees she could make $4.8 million in 72 hours if she flies from Kate's to the States."